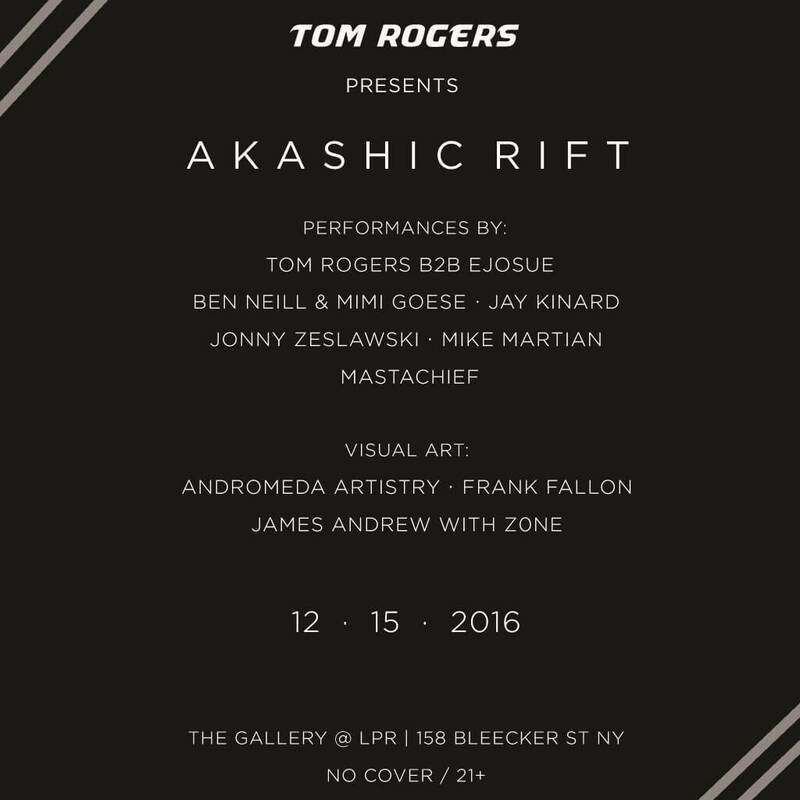 On December 15th, Akashic Rift returns for a night of atmospheric, cerebral electronic sounds and visual art. This month we celebrate the upcoming release of Tom Rogers’ “Sector 5” on Aria Knights, and introduce a broad spectrum of live PA & experimental art. The Akashic Records are believed to be a celestial membrane which surrounds the planet — containing all information that has ever existed. Great leaders, meditation practitioners, and mystics are said to be able to access information from this field. Tom Rogers is a Certified Audio Engineer, Producer, and Writer for the United States Trance Movement. Fusing elements from spoken word to film score, his live sets thrive on suspenseful, introspective textures. The unification of ambient soundscapes, controlled glitch effects, and orchestral string sections creates a dynamic atmosphere which obscures the lines between musical genres. He has shared DJ lineups with strong international and local talent, including Kyau & Albert, Ronski Speed, Eco, James Gill, Thomas Datt, and Heavygrinder. Tom has received support from blogs including United States Trance Movement, EDM Insider, The Beatmill, and Undrgrnd Sound. Venues he has performed at include Santos Party House, Club LOVE, Morgan Room, and National Underground. Esteban Josue is an electronic music composer and producer whose raw organic sounds bring a new cutting edge element to the world of electronic music. Artists such as Ben Neill, The Thrillseekers and Brian Grainger are major influences in his new compositions which tend to incorporate melodic and dark sounds with uplifting and euphoric breaks. Raised in Ecuador and now residing in New Jersey, USA, Esteban Josue is constantly composing electronic music as well as working with multiple musicians in the creation of soundtracks for films, art videos and video games. Dream pop vocalist Mimi Goese and composer/mutantrumpeter Ben Neill create an otherwordly blend of sensual lyricism and technology in their musical collaboration. Most recently they are exploring the musical and poetic qualities of mathematics and science, working in collaboration with chaos mathematician Ralph Abraham and scientists from the Beacon Institute for Rivers and Estuaries. The new songs combine the interplay of Goese’s captivating vocals and the electro-acoustic explorations of Neill’s self-designed mutantrumpet with sounds created from fractal equations and Hudson River environmental data. The reflective, sometimes surreal lyrics find poetry in numbers over glitchy beats, deep sub bass, and ambient textures. Goese and Neill began working together in the mid 2000’s on Persephone, a music theater work presented at the Brooklyn Academy of Music Next Wave Festival in 2010 and released as Songs for Persephone on Ramseur Records in 2011. While the duo’s new material is more futuristic and electronic sounding than the electro-orchestral sounds of Persephone, a similar approach to composing is taken in that each song is built up from a different piece of found material. In Persephone, sampled fragments of 19th century Romantic pieces formed the basis for each song; now the samples are richly textured clusters of microtones generated from Abraham’s mathematical realizations or melodic or rhythmic patterns that reflect environmental changes in the Hudson River. Both Goese and Neill live in the Hudson Valley, and the natural beauty of the area was a major source of inspiration for Persephone. Now they approach the Hudson River from a different perspective, through the lens of the REON system that monitors scores of different environmental factors 24 hours a day. Mimi Goese is known as the lead singer/co-songwriter of Hugo Largo, the critically acclaimed minimalist punk/pop group who released two albums on Brian Eno’s Opal label in the ’80s. After touring with musician/producer Hector Zazou and co-writing/singing on the Moby album Everything is Wrong, Goese’s solo album Soak was released by Luaka Bop, David Byrne’s label. Ben Neill is a composer, performer, producer, and inventor of the mutantrumpet, a hybrid electro-acoustic instrument. Ten CDs of his music have been released on labels including Universal/Verve, Astralwerks, Thirsty Ear, and Six Degrees. 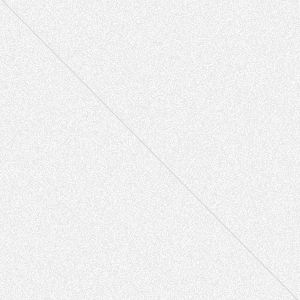 His most recent recording Horizonal was released in 2015 on Audiokult Recordings, Vienna. The Demo, his large-scale electronic opera with Mikel Rouse, was premiered at Stanford University’s Bing Concert Hall in 2015. Neill is also currently leading performances of works by minimalist guru La Monte Young in the US and Europe. Jonny’s early musical influences were from from his Dad playing the likes of Jean Michel Jarre, Depeche Mode and Pet Shop Boys in the late 80’s/early 90’s. Music became a huge part of his life and after the Dance Mania craze of ’95 in the UK, he was hooked! As Trance became huge towards the start of ’99. Jonny became heavily influenced by the likes of Ferry Corsten, Paul van Dyk and Armin van Burren. Using his Dad’s old record deck, another he got from his cousin and a cheap 2-channel mixer, he started DJing in his bedroom using a small selection of records. Early favourites included Fragma – Toca Me (InPetto Mix), Atlantis vs Avatar – Fiji (Lange Remix) and System F – Out of the Blue. After a few years putting music on the backburner and playing at house parties with friends at his apartment in Brooklyn, he’s back and you can catch him across New York this summer, performing for Akashic Rift and Inoki Party. As an avid clubber, DJ Jay Kinard grew a love for strong base lines, driving synths, and fantastic parties in the New York scene. He acquired a pair of turntables in 2003, and learned the ins and outs of mixing using vinyl records. 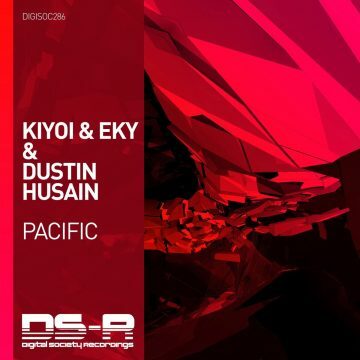 With early inspirations such as Paul van Dyk, Ferry Corsten, and Danny Howells, over time his love of music branched out into numerous genres of Electronic Dance. Currently, he spins progressive house and techno at private parties, chill restaurant lounges, and clubs in New York City. His main goal and focus is to have people enjoy themselves listening to music whether it is out at a venue or at leisure. To him, the music is a key element in making the experience memorable for a person. At 5:02am on June 27th, 1992, The Voyce of NYC was born. Voyce DeSouza aka MastaChief was born and raised in New York City. Just as everyone else involved with any kind of art, his calling found him early on in his lifetime. With a name like Voyce the fact that he would inherit a love for spoken word could be considered cliche. Chief took to the microphone in 2006 with a fury that allowed him to share stages with prolific MCs such as Professor Griff (of Public Enemy), Treach (of Naughty By Nature), Easy AD (of Cold Crush Brothers), Chubb Rock, Just Ice, NYOil (formerly Kool Kim of The U.M.C.’s), Hakim Green (of Channel Live), The Black Dot, Hasan Salaam, Rebel Diaz, SpiritChild, Division X, P.E.M.G. and the list goes on. In the summer of 2010 he was introduced to the Rave Culture by Michael Moscoso aka Michael Phase. Michael offered the tips and tricks needed to understand what it was to perform to an Electronic Music audience and was the first artist that believed in his ability, allowing them to share numerous stages together. Chief, while still remaining loyal to his roots began to venture out on his own as a separate entity, developing an on-stage energy and aggression that could be rivaled by none. This allowed him to host numerous events on the east coast and to rock the mic behind renowned artists such as Scot Project, Lisa Lashes, Filo & Peri, Electrixx, Christopher Lawrence, DJ Dan, HeavyGrinder, DJ Funk, Tommie Sunshine, Frankie Bones, Lenny Dee, Heather Heart, Dank, plus many more and many more will continue to come. Recognizing that the duty of an MC is to back up what the DJ is doing has kept his style beneath the “annoying” sound the many others can produce. His ability to adapt to any situation (mixing style, genre, technical difficulties, crowd energy, stage set-up, etc.) separates his stage presence. The biggest asset that he has is the desire to not move the crowd but rather to move WITH the crowd; reading their vibe and acting accordingly. With many screams and hands in the air under his belt and many more tricks and surprises up his sleeve, MastaChief comes with the promise that enhancing the experience of any stage will happen with ease. Raised on fine arts and Garbage Pail Kids, Frank B. Fallon is an artist and graphic designer based in NYC. He’s a published illustrator for various publications, and seasoned designer and photo retoucher for companies such as Pepsi, Snapple, and Toys R Us, and is currently working on a graphic novel based on some crazy dreams he’s had.